We offer 3 flipbook solutions with each their own set of features. (zero | pro | pro infinity). 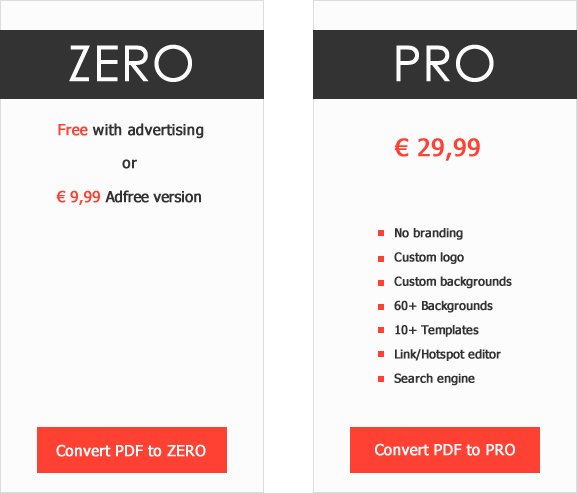 We also offer a free trial period of 10 days so feel free to convert your PDF into a flipbook and try out all the features. Pick one of the solutions to convert your PDF into!